It didn’t work for me. anyway thanks for sharing. 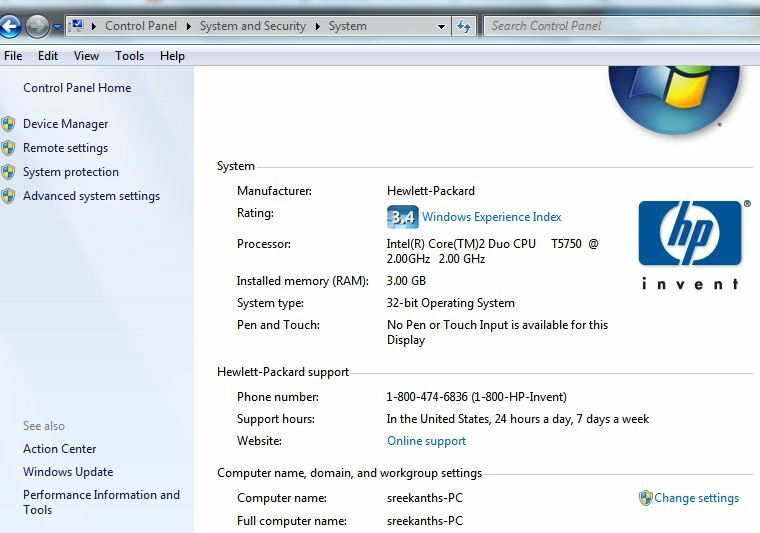 My solution is change setting in Internet Explorer. I changed my Internet Explorer to work offline. This trick works for me. Question is, why hasn’t Microsoft or VMware not put this up as an article? But thanks a lot. Trying to install OSX 10.7.3 on my laptop to code iOS apps. You have been a lot of help. Thanks! Works for me after reboot on win7 64bit. Had a lot reasearch to do for this bug. Welcome dude… Cheers for visit. So~…. what do i do? Anything i miss? I renamed n made the folder in the C drive. I prompt the environmental variable to dat folder in the C drive. But d installation still doesnt work. So wats d problem? What did i miss? If you have tried the above steps very thoroughly not skipping or mistaked then I believe one other option is trying silent installation from command-line with envi variables set and rebooted the pc. Let me know if you have done that too or willing to. Before I proceed further with the video making, Can you please do the below steps as i say. 2- And go to Advanced settings, and Environment variables As you see in the above posted screenshots. 3- Now please edit the TEMP and TMP file locations of System variables… Means you edit the TEMP and TMP to change the settings. 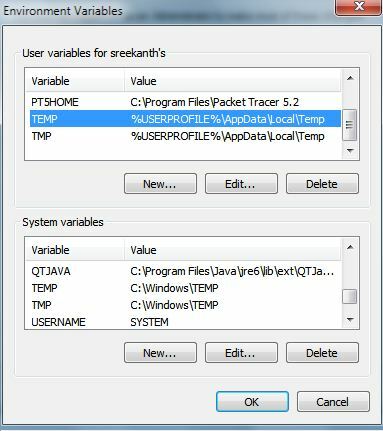 4- Before doing 3rd step you have to create a folder called TMP or whatever you like, but the same folder name shall be put in path. 5- Now edit the TMP and TEMP settings of system variables and Copy all the settings in there and paste in Notepad to revertback after installing VMware successfully. 6- Now once you copied the notes in there, delete all the data and just type C:\TMP, where the TMP is the folder you created just now in C Drive directly. 8- After reboot, please try again the installation and let me know if u still face any issues. If you are failing at this point, try the User variables changes also and reboot and see. Even after this change this doesn’t work for you. Plz let me know. Hahaha that’s a quite a good comment. Cheers mate. Hi Chaladi, I hope you can help. Your post is great, but as I have very little confidence with computers, I wonder if you can tell me in more detail HOW to change the temp file path? I don’t want to do something I can’t undo later. I really need a step by step method, please. 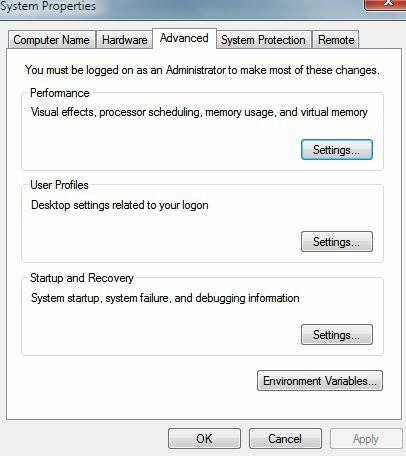 As the post explains… You have to goto environment variables settings and change the system settings menu which is below to user environments settings. You edit path settings and copy all the text in it and paste it for backup purposes. If you are done with that, now type New text like said in post; c:temp or whatever you created in x drive. Please go patiently once again through my post. You will now be clear and confident. Chaladi … I could literally hug you dude (((((( Chaladi )))))) ….and no I’m not gay lol …. God Bless you and Have a Happy & Healthy Holiday Season, Dude your a lifesaver ! Awesome… Matthew. I think we don’t have to be Gays to hug… Lol. A wonderful comment in the recent times I read and got. 🙂 cheers! For that. Ur welcome… Thnq for ur comments. Cheers! Happy for u. How can this work, if the default values are not changed. See the post and read through. Hey, wait! Now it works, looks like I should first create the “temp” folder on C: to make this trick work.. thanks chaladi! Oh! Yes that shld be done as said in post. Anyways thnq for coming back and letting know. I knew this is the by far the late reply… but to tell other people at least here, the system variable change is needed rather than User variables. Please change the System variables and reboot if necessary to bypass errors. Hello, thanks for all, it’s work..
First Off, Where are you typing this Code? In the NEW Environment Variable? in System Advanced settings? See the below Linked Image screenshot for your clarification purposes. I have this now :%USERPROFILE%\AppData\Local\Tmp..
Now i get a runtime error.. please help me what’s the fould? not working for me what to do? Did u tried the other procedures which I mentioned of alternatives? It’s really works for my laptop…. Dear chaladi Thank you for your post. Bot I have got a problem. I forgot to save original temp and tmp path. How do I revert back to original setting? Thanks in advance. Oh! The only chance is to system restore… I warned u prior. Sorry! You are welcome and thanks for comment on my work. U saved my life ! tHANK YOU SO MUCh this worked on windows 7 32 for me. You are very welcome. Knowledge is for sharing; and I believe that! Chaladi this has not worked for me. I might be doing something wrong. Can you tell me what path I need to set it to exactly? You can rename existing TEMP variable as Temp1 and create new TEMP variable as suggested in post. No user variable change is needed. Do exactly as it says in blog post. Oh! really? i was wondering with the temp folder location> shame that locations are errors in tmp folder spots. must be noted in forums and elsewhere taken to vmware forums, found the command line cool but not comfortable. Will do that for u in a day… Come back in a day… Thnx for Ur visit.